Spring is here! It’s time to get outside, enjoy the sun as it begins to show its face again, and spend time with our families as the days get longer. Spring is also the time that people work to refresh their lives from the inside out: yes, that means it is time for spring cleaning. If you are a parent, you are more likely to look forward to the annual ritual than those without children. 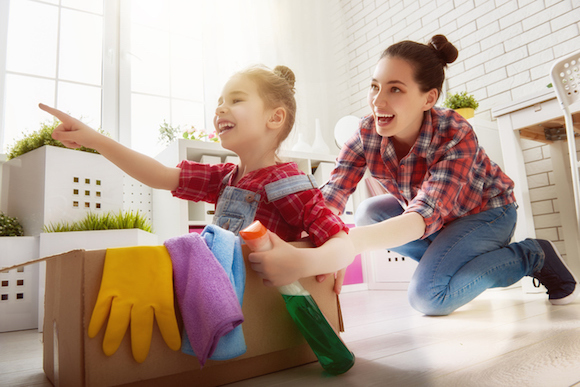 According to a recent survey from SpareFoot.com, parents are more likely to look forward to spring cleaning (55%) versus their kidless counterparts, of which only 40% look forward to spring cleaning. Spring cleaning is a good time for families to come together for a common goal, and for parents to teach some serious life skills. SpareFoot found that 70% of parents say that their kids help with spring cleaning, with 55% of parents saying that spring cleaning is part of their children’s household chores. However, there is one part of spring cleaning that many parents don’t tackle with their kids: decluttering. In my experience as a professional organizer, many parents are reluctant to broach the topic of decluttering with their kids because they are afraid of the tension that it may cause in their relationship. Kids can have a hard time getting rid of things, even when it comes to items that they haven’t been interested in for a while. It can seem silly to us as adults, but for kids, decision making skills take quite a bit of time to develop. 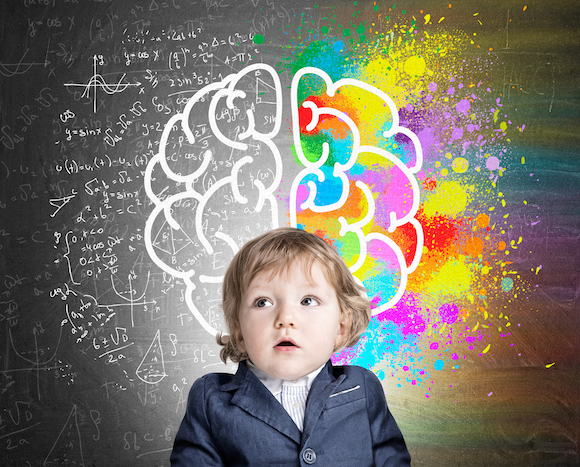 According to the American Academy of Child and Adolescent Psychiatry, the frontal cortex, which controls reasoning in the brain, isn’t fully developed until adulthood. There are lots of ways, however, that we can help kids to make decisions when it comes to decluttering their spaces. Like many things, the strategies that will work best depends on the child’s age and level of development. Because I have a background and degree in early childhood education, much of my organizing work includes spending time with parents, children and families. We collaborate to organize their spaces in a way that meets their family’s unique configurations as well as their children’s developmental needs. 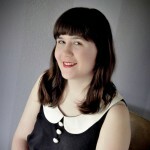 Contrary to popular belief, you CAN teach decluttering to children three years old or younger. Have your baby with you as you are working on decluttering a space and narrate your thought process. It may seem silly to talk to your baby, but they understand much of what you are saying, and experiencing the decluttering process can help them have success later. A child this age is not ready to make a lot of decisions at one time. However, they are able to practice making simple choices about what lives in their space. Try choosing two or three items and having them choose one or two to stay. If they can’t make that decision, make it for them. Be kind and gentle with them, and make sure to explain your reasoning. Though this can be difficult, it’s better to start early so that they get used to the process. Try doing this exercise once every couple of weeks. If you need to do a big declutter around these ages, see if you can get child care outside of the home for a couple of hours. Parents often get nervous about decluttering when kids aren’t around, however, most of the time kids don’t even notice when something is gone – they are just happy to have a refreshed and simplified space. Some parents are wary about getting rid of items without their child knowing. My suggestion for this is to select items for donation, then store them in solid colored (not clear!) boxes in a storage space like a garage or attic. If the child doesn’t notice or ask for something that you have put away, donate the toys after a month or so. Though every child is different, kids can usually handle a full room declutter around eight years old. 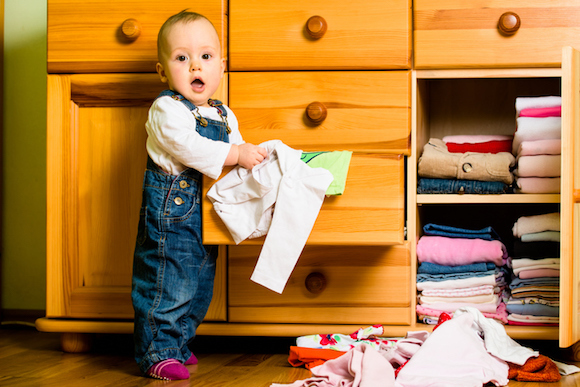 Many kids at this age actually enjoy the decluttering and organizing process and thrive on it. Consider making it a fun project. At this age, you can start by asking them to draw a picture or make a collage of their ideal space. You can even have them try to sell or consign some of their toys or clothes to raise money for new items like upgraded storage or new furniture. Sometimes, this task can be overwhelming, so if at all possible, just do one section of a room at a time, like focusing just on the closet or the space under the bed. 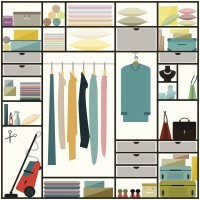 Make sure that you’re emphasizing the benefits of organizing and decluttering as often as you can. 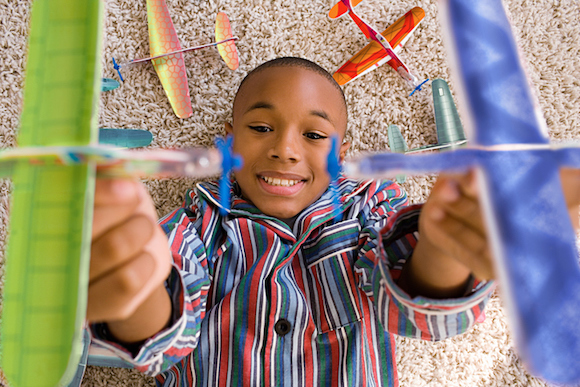 For some kids, less stuff on the floor means more space to do projects. For others it means that they have room to have friends over more often. Each child will be different in their motivation, but focusing on the end goal is always helpful when it comes to moving the project along. Many adults that I have talked to express to me that they never learned how to organize or declutter as kids, and it affects their lives negatively now. Luckily, these are skills that people of all ages can learn and apply to many different situations as they grow older. When parents tune in to their children’s age, stage of development and unique needs, they can address things in an effective manner that benefits everyone.